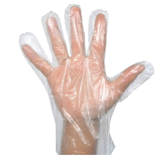 Maintaining a hygenic environment for food and personal safety is an ongoing and constant task. 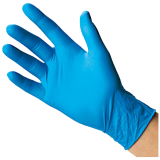 Disposable gloves and protective apparel make that task easy and convenient as well as cost effective. 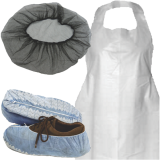 Protection against food contamination is the top priority. 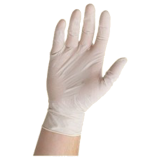 Disposable gloves and apparel also serve to protect employees' hands and clothing from stains and odors. 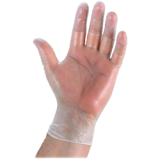 Keep a supply readily available to ensure proper hygenic practices.